Warehouse Cleaning | North Hills Office Services Inc. Warehouses can become one of the messiest places in a business if they’re not regularly and properly maintained. The amount of supplies, tools and other type of equipment and machinery can turn this space into a hazardous place for everyone entering your facility. 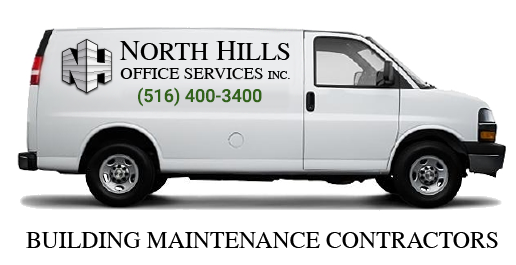 At North Hills Office Services, Inc., we take your safety very seriously and work hard to provide you, your clients and employees a clean workplace that improves their health and increases their productivity. Our Warehouse Cleaning service will ensure your facility is properly cleaned and sanitized through a number of customizable cleaning tasks that include but are not limited to floor cleaning, carpet cleaning, pressure washing, HVAC duct cleaning and more, so no matter what your needs are, our team of highly qualified janitors can help.